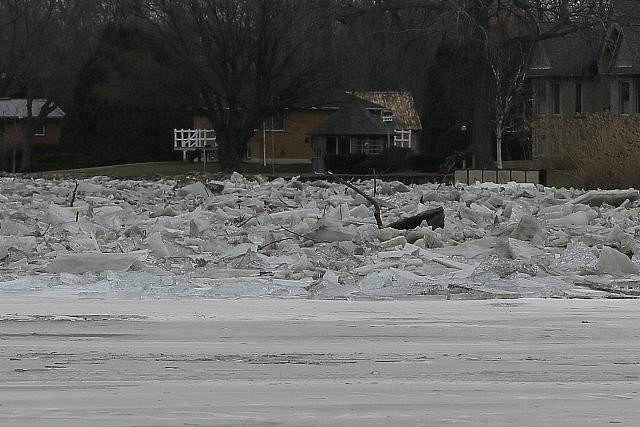 The state of emergency put in place due to high water conditions on the Thames River in Chatham has ended, even though the ice jam remains in place. “The situation has stabilized and while we, along with our partners at the Lower Thames Valley Conservation Authority continue to monitor river levels, we have ended the state of emergency,” said Chatham-Kent Mayor Darrin Canniff. Repairs to dikes along the River in West Kent have been successful and the river has dropped more than 50 inches since its high water level Friday evening. The Lower Thames Valley Conservation Authority says that while it is possible the ice jam will move downstream and out into Lake St. Clair safely as the water levels rise, it’s also possible the ice will jam up again, causing more severe flooding”.